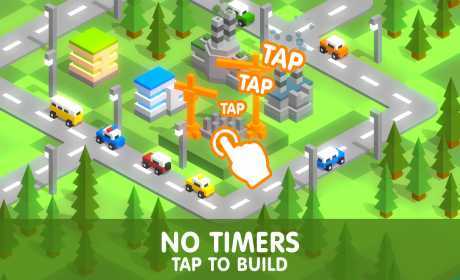 Tap Tap Builder invites you to build the city of your dreams and become its mayor! But before leaning back in a comfortable boss’s chair, you’ll have to roll up your sleeves and do some work. Want to build a skyscraper? Tap-tap and you’re done! Not enough money? Tap-tap and earn some! A fire broke out? Tap-tap and save your people! Let’s start working right now, tap-tap the DOWNLOAD button! • This city won’t build itself, tap to build it! • Tired of tapping? Hire some workers! 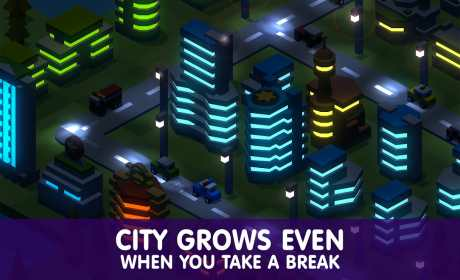 • The city keeps growing and bringing you money even when you’re away! • Exchange resources with your friends! • Fires, crime, unemployment — deal with everything, you’re the boss! 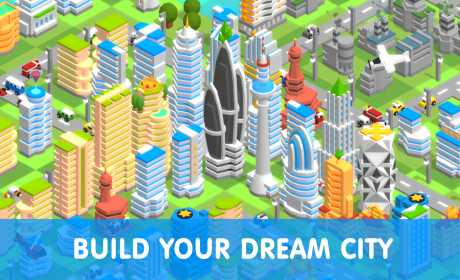 • Build your own city, with blackjack and a spaceport!